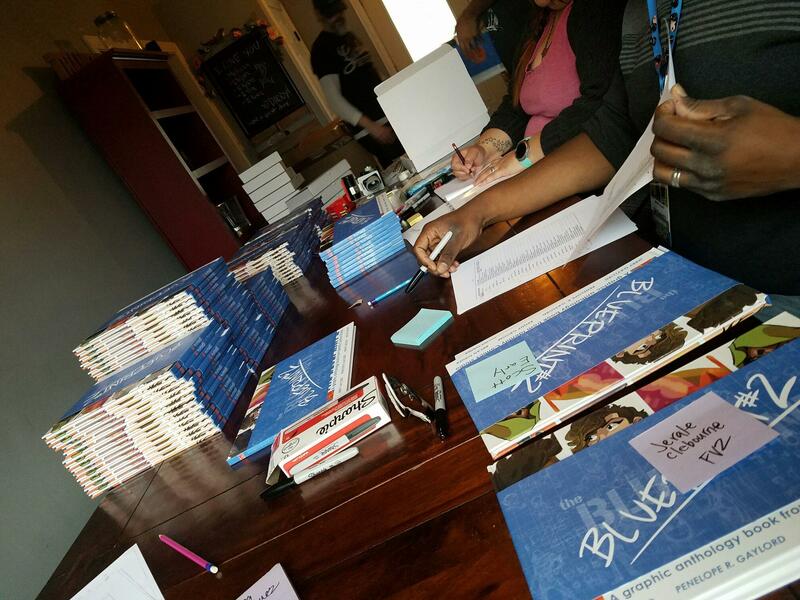 we had a packing party for our book THE BLUEPRINT 2 to ship to our Kickstarter backers! 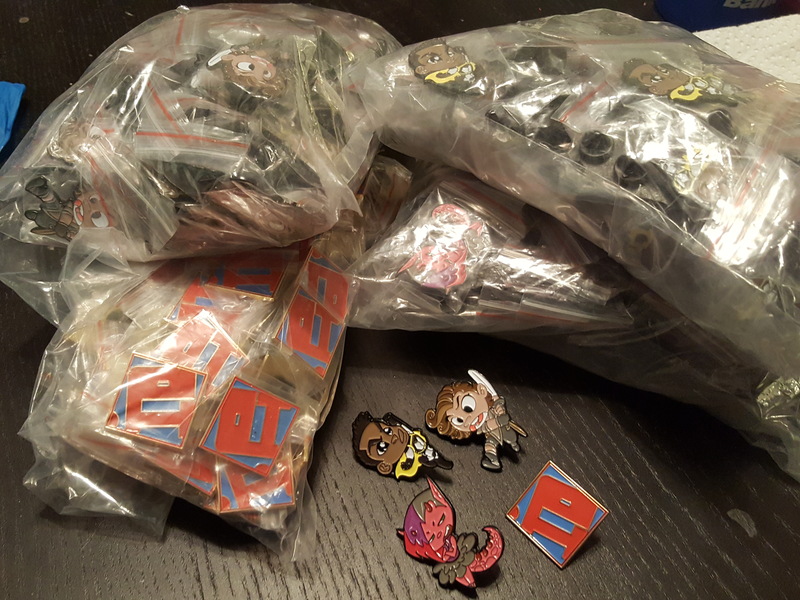 we’ll be starting to mail them out this week and with any luck, everyone in the U.S. will have them by February! 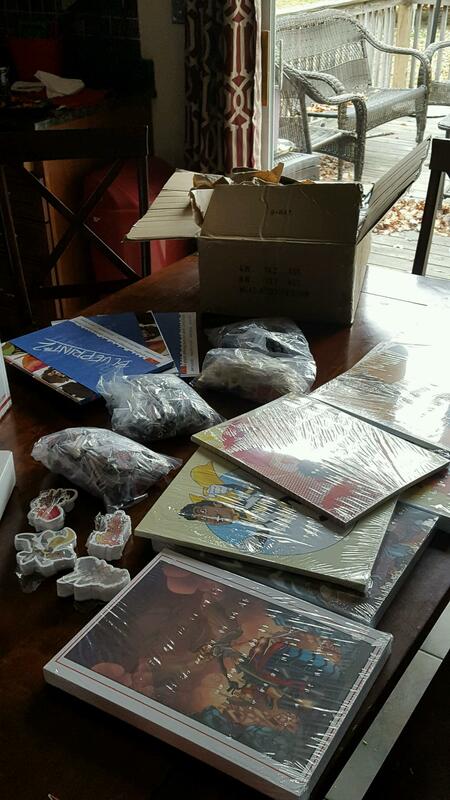 international orders always take longer but fingers crossed they’ll get to their destinations in February as well. 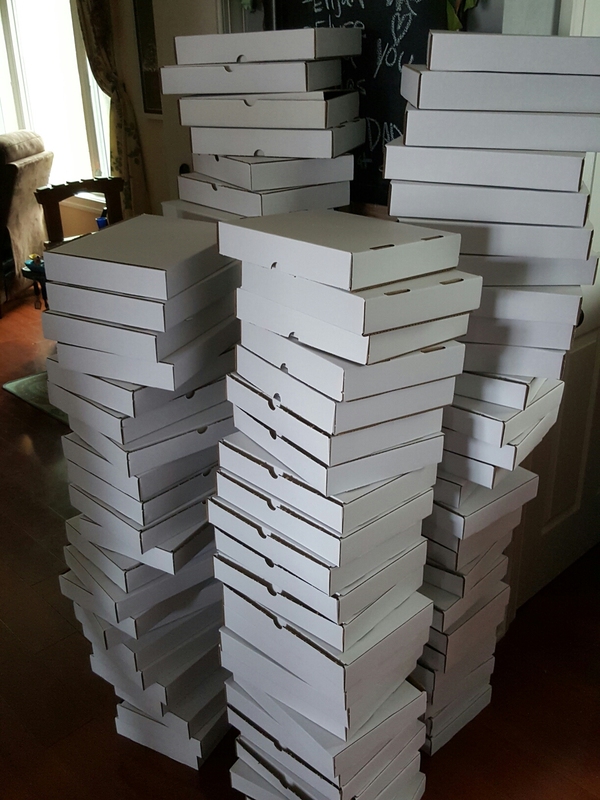 thanks to everyone who supported the project and also for their incredible patience as we were waiting to get the books and swag in the mail. 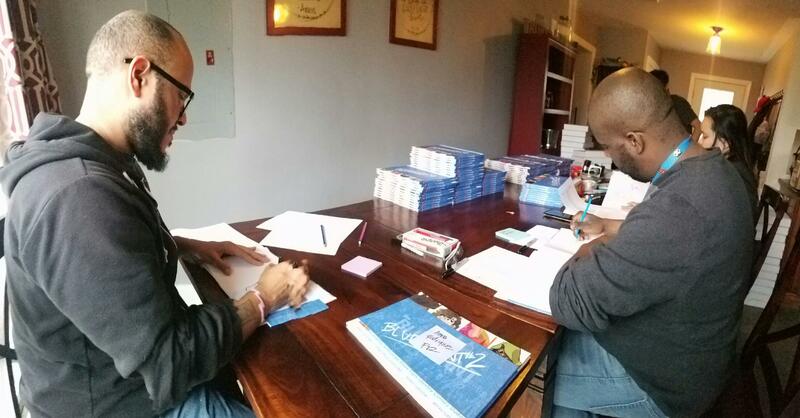 we have hopes that soon, folks who missed out on the kickstarter will have a chance to buy the book online. if not at one central online shop, at the very least from any of the three ID STUDIOS members’ online shops. but more on that at a later time. OR you can follow our facebook page – facebook.com/IdentityComicsStudio – to stay current on the goings-on of the studio (if you don’t already).